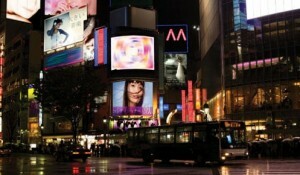 New and old collide in Tokyo, Japan’s capital city that never sleeps. As you discover the city you will find there is no actual centre to Tokyo but a collection of impressive districts, all full of attractions. 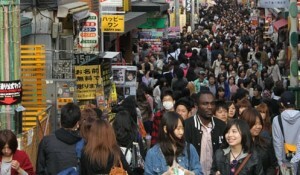 Shinjuku is the main cosmopolitan entertainment quarter for restaurants, shopping and Japans busiest rail station. Here huge plasma screens blast out bright, neon advertisements, while side streets house strip clubs and smoky jazz bars. 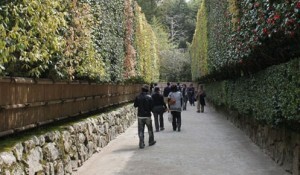 A quieter option is to spend time in Ueno (Koen) Park where you can visit the Tokyo Zoological Gardens, National Museums, wander among the cherry trees and the see the historical Toshogu Shrine. Your tour leader will assist you in validating your rail pass which you will use on your tour, and then take you on a morning orientation walk via the metro to the Imperial Palace, the Emperor Meiji Shrine and the area of Harajuku, famous for its quirky youth fashion culture. We travel onwards to Odawara a lakeside resort town which offers fabulous views of Mt Fuji (weather permitting). There are other options you can do here such as boat on the lake with a stunning view of Mt Fuji, or take the rope way up the surrounding mountain for an equally impressive view, or take a bus out to Mt Fuji (depending on the time of the season) and although you won’t be able to climb, you can still marvel at its presence. Mount Fuji (Fujisan) is Japan’s highest mountain at 3776 metres and can be seen from Tokyo and Yokohama on clear days. This dormant volcano, which last erupted in 1708, has long been worshipped as a sacred mountain and has always experienced huge popularity. 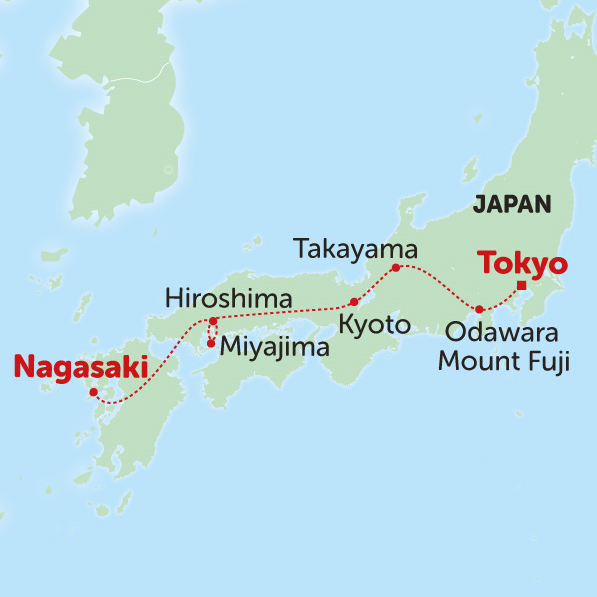 We take the Shinkansen Bullet train to Nagoya and change to a local train for the beautiful trip up through the Japanese Alps to Takayama. Here you will have the chance to test the local rice wine. 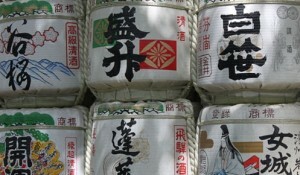 ‚Sake‘ is brewed using rice, water and white koji mold as the main ingredients. We begin our introduction to the traditional city of Takayama with an exploratory bike ride through the town to familiarise you with the famous sites. Takayama is located in the mountainous Hida region of Gifu Prefecture, which has retained a traditional feel unlike many other Japanese cities, especially in its beautifully preserved Old Town. The southern half of the Old Town, especially the Sannomachi Street, is particularly pretty with many old homes, shops, coffee houses and sake breweries, some of which have been in business for centuries. After our bike ride is over you can lose yourself in the back streets or venture out of town if you’re feeling adventurous. Takayama Jinya – US$3.50 • Hida-No-Sato (HIDA folk village) – US$6 • Festival floats exhibition – US$7. 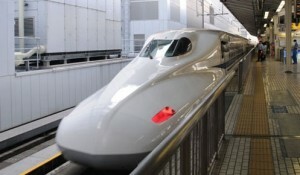 We take the early morning local train to our bullet train which will deliver us to the modern, vibrant Imperial Capital of Kyoto. Kyoto was fortunate to be spared in the World War II bombings and has retained literally thousands of ancient shrines, temples and palaces, some dating back centuries. 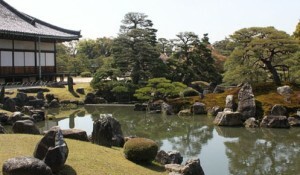 Kyoto is the jewel in the Imperial crown. It boasts some two thousand mind-blowing temples, shrines, castles and palaces, making it one of the world’s most visited cities. 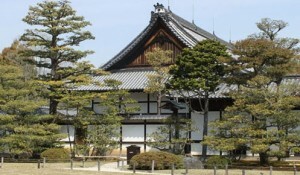 Some of these include the Golden & Silver Pavilions, the Kiyomizu Dera, the Ryoan-Ji and Nijo Castle, where the Shoguns used to stay whilst visiting the city. 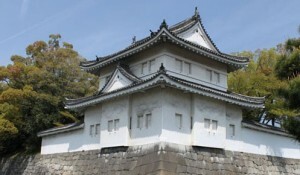 It is also home to the Imperial Palace that has recently become much easier to visit. You can also explore the Bamboo Forest and the Fushimi Inari shrine where many movie scenes have been shot, including Memoirs of a Geisha. Close to the city’s famous Toji temple is an impressive 57 metre high Buddhist pagoda dating back to 794AD, the year the city was established as the Imperial Capital. Right next door, the monthly Kobo-san flea market offers a bargain hunter’s paradise, where you can rummage through a range of items from second hand kimonos to war memorabilia, food and sculptures. If you are interested in Japanese cultural history, you may like to visit the Kamo Shrines, called the Shimogamo Shrine and Kamigamo Shrine, which are both recognised as UNESCO World Heritage Sites and are among the most important in Japan. Predating even the Toji temple, these shrines were traditionally visited by members of the Imperial court, who would worship Shinto gods called Kami, and ask them to protect the city and help it to prosper. 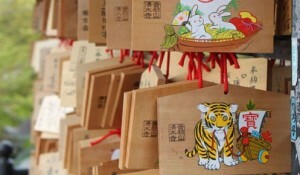 The Shimogamo Shrine is surrounded by the Tadasu no Mori forest, which features trees that are up to 600 years old, while the nearby Kamigamo Shrine is known for sand cones at its entrance, which have been built and rebuilt since ancient times to help purify and protect the shrine. 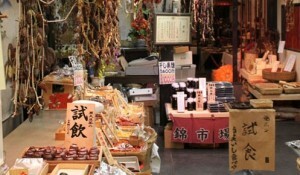 We will take a tour of the Geisha District. 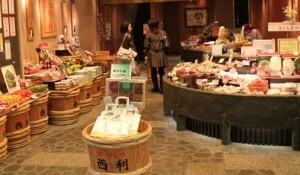 Keep an eye out for Gion Square where some scenes from the movie ‚Memoirs of a Geisha‘ were filmed. If you haven’t read the book it’s a great insight into traditional Japanese life and the effects of the war on society. 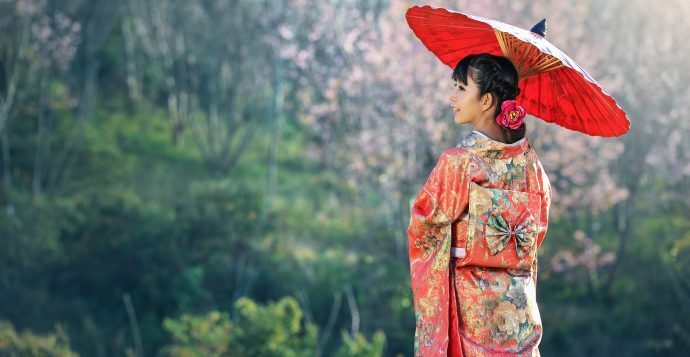 It may also be possible to see a geisha dance performance or tea ceremony demonstration. Today we take a morning train journey to visit one of Japan’s most famous architectural wonders, Himeji Castle, which amazingly still remains intact despite the heavy bombing of the nearby town throughout World War II. Known as the ‚White Heron‘ castle because of its brilliant white exterior, the castle features more than 80 buildings, and an intricately designed series of paths within the fortified complex which are designed to confuse any potential invaders. An optional guide can be hired or you are free to explore on foot yourself. We then head to Hiroshima, the first city in history to be hit by an atomic bomb, and as a result is now dedicated to promoting peace. Your tour leader will take you to The Peace Memorial Park which was built to promote a peaceful world. Here you will see where the bomb hit on August 6, 1945 at approximately 8:15 am. You will also have a chance to visit the outstanding but chilling museum with real images, video footage, various surviving objects, and true accounts left by the survivors. The Atomic Bomb Dome is one of the few buildings around the explosion’s epicentre that partially survived the blast and the city’s only remaining bomb damaged building. The former Industrial Promotion Hall is now an UNESCO World Heritage Site. From Hiroshima we can enjoy a day trip to Miyajima, the holiest island in Japan, where you can watch sun setting over the famous floating torii gate, which is the entry place to the Shinto shrine Itsukushima, a UNESCO World Heritage Site. 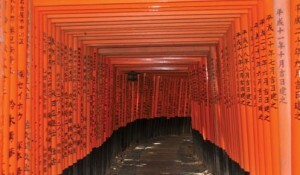 Passing underneath a torii gate on the way to visit a shrine is an act of sanctification and purification. The floating torii can be accessed only when the tide is out. It is common practice for visitors to place coins in the cracks of the legs of the gate and make a wish. As the island is considered a sacred place, the maple trees which cover the island cannot be cut down and deer and monkeys roam freely. Please note: At the present time we cannot offer post tour accommodation on this tour. Please speak to your Adventure Specialist who will be advise alternative accommodation options if you would like to stay longer in Japan. Diese Tour startet mehrmals im Monat und beinhaltet 10 Übernachtungen in Hotels.